It is an island made by Gods for people. 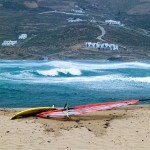 Myconos, the sea, the sky, the sun, the hospitality, the fun, the harmony, the charm. A never-ending real myth surrounding us, every part of it a reality, something special, challenging you to live it, taste it, relish it. An barren island, arid, burned by the sun but full of golden beaches and crystal waters. The white color, the stone and the scattered mountains are indelible memories in the mind. The natural elements are vivid and strong, filling you, guiding you in new sensations; the air, the sun, the moon are the eternal guides. The harmony of the Myconian architecture is really astonishing. 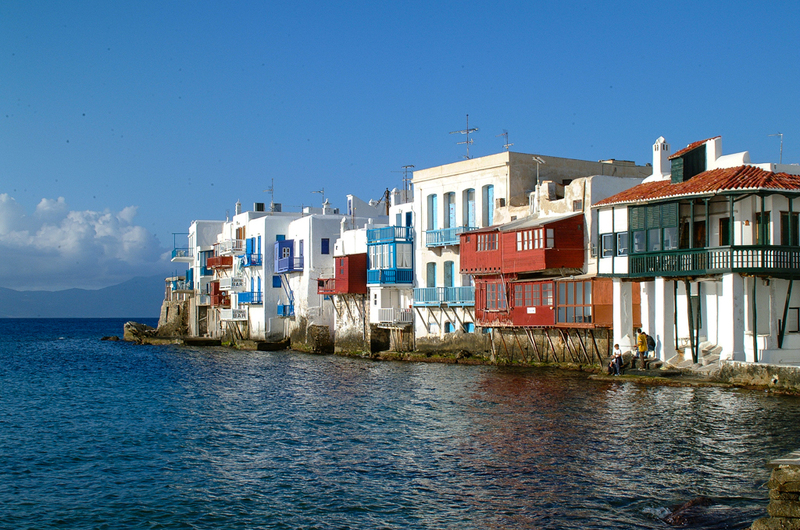 The location and the way the town of Myconos is build -inside the Northern eye- the port, the particular colors, it is an exceptional masterpiece. No man and no plan would be able to create something so unique. The feeling of getting lost in the alleys is fascinating. 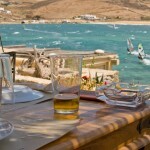 The exit to the seashore is where we end our walk, with a glass of ouzo and the view of the boats. You walk and think that you know everybody…you wave and they wave back. As if you have grown up in this neighborhood. Everything is simple, familiar, hospitable. A warm and relaxing atmosphere. Hospitality and a hug are something you can take with you and carry it forever. And when the sun sets the mood changes. The rhythm becomes vibrant, fast, full of fantasy and intensity. 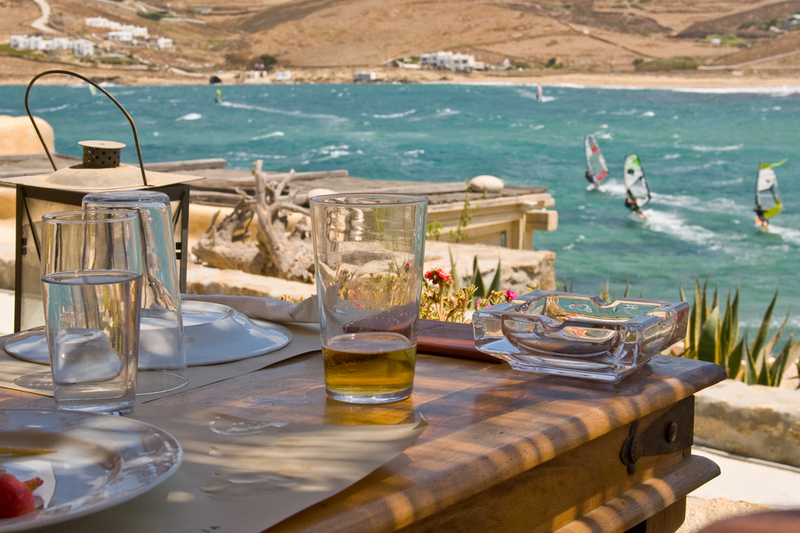 You simply choose to come to Mykonos. 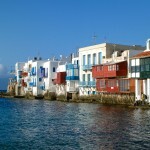 Perhaps the most important of the tourist asset of Mykonos, that distinguish it from other islands are the beaches. Here are without doubt the most – and best – to be found . 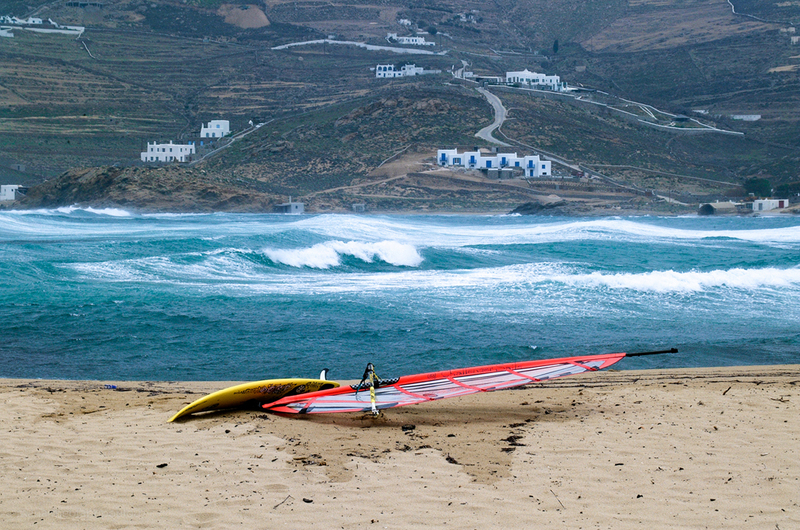 Particularly in the South, the picturesque coves with sandy beaches follow one another. 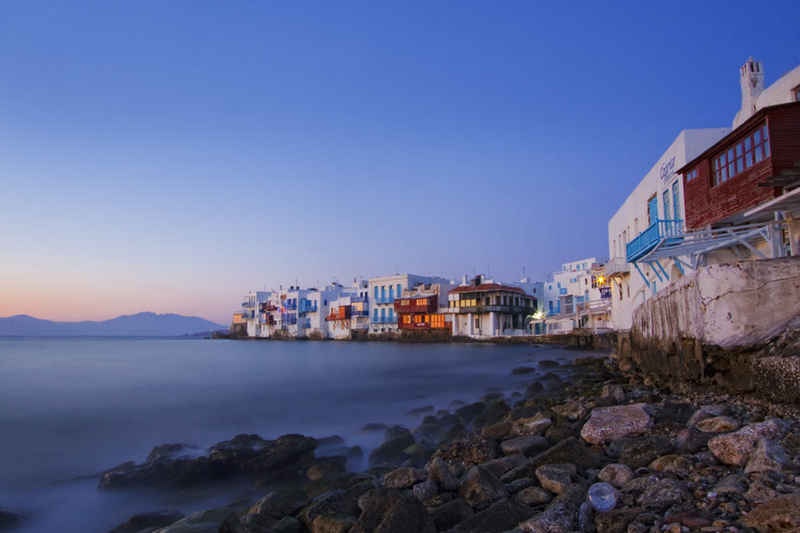 Those beaches, can be reached by car or motorbike, since the radial roads of the island starting from the Mykonos town stretches nearly to each corner. 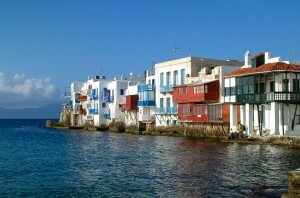 Precisely because of that particular road network in the island, many Southern beaches are linked with each other with a boat operating on a regular service, all day all summer, which offers the visitor a very interesting excursion opportunity. The Town Hall, built about 1780, is an early neoclassical two-story building with a tile roof, which was constructed after the 1760-1774 conflict between Russia and the Ottoman Empire, in order to house the Russian Consul General of the Archipelago. 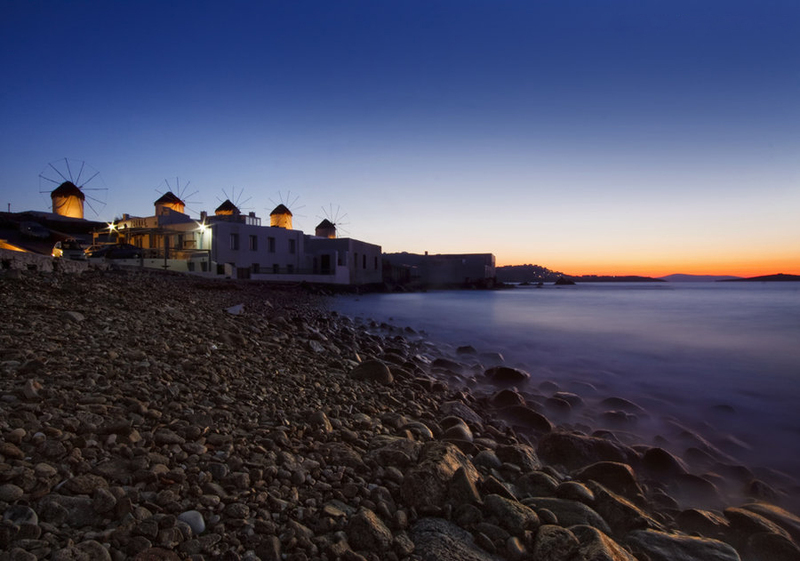 A few years later it came under the jurisdiction of the “Koinotita” (the local self-governing body of the island of the Greek revolution) and, since then, the office of the Municipality of Mykonos has been located there. There are interested monument found in areas where there were farms until recently and south of Chose: at Drafaki (-Paspori) one can see some very old but well preserved step-roofed chapels. At Vrissi, an underground domed chamber tom, of the Mycenean era, very unusual for the Cyclabes was uncovered, just a few years ago. 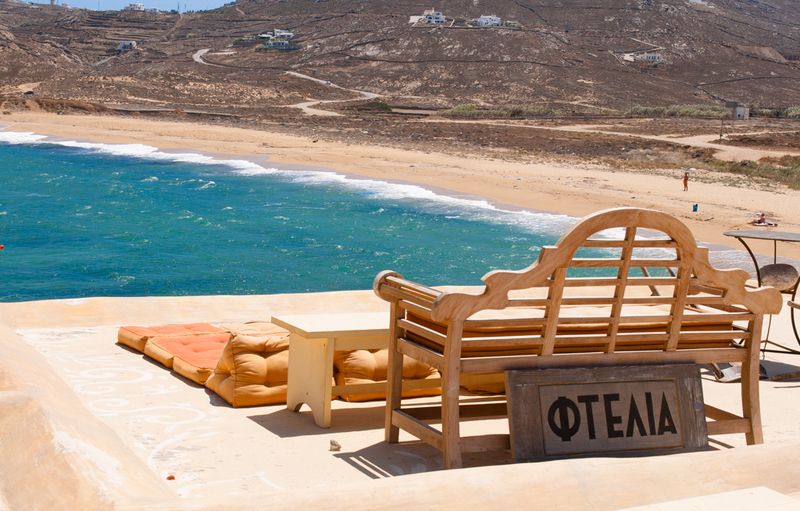 To the north east of Ano Mera opposite the beach of Kalafati, at Divounia – Tarsanas, on a small twin Cape, are preserved the traces of a prehistoric (protocycladic era) acropolis. 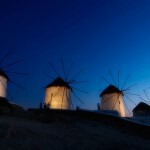 “The Windmills” are found south of Chora, in between the picturesque Alefkandra and Neochori. They impress visitors with their all-white overwhelming massive shapes, in a row facing the sea. 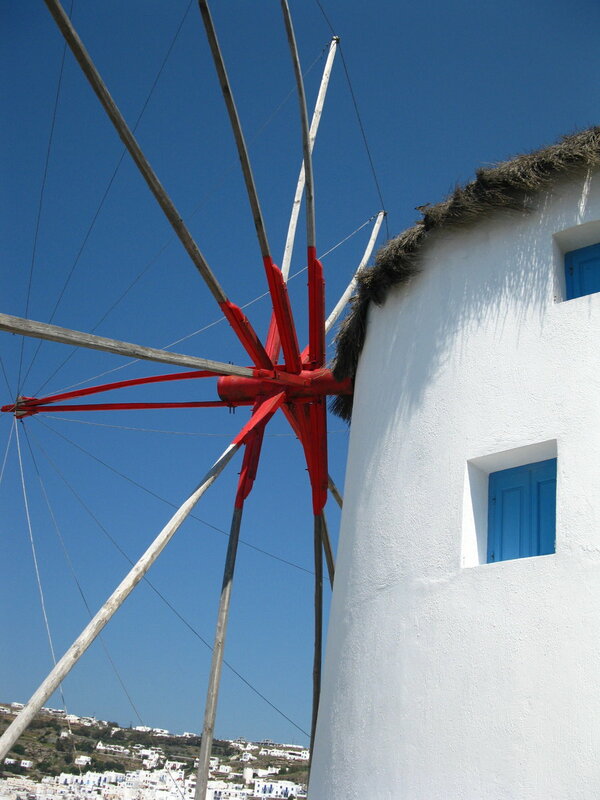 Today, seven in number have been preserved, out of the ten mills which until beginning of the 20th century, ground the local wheat using the unfailing power of the wind. 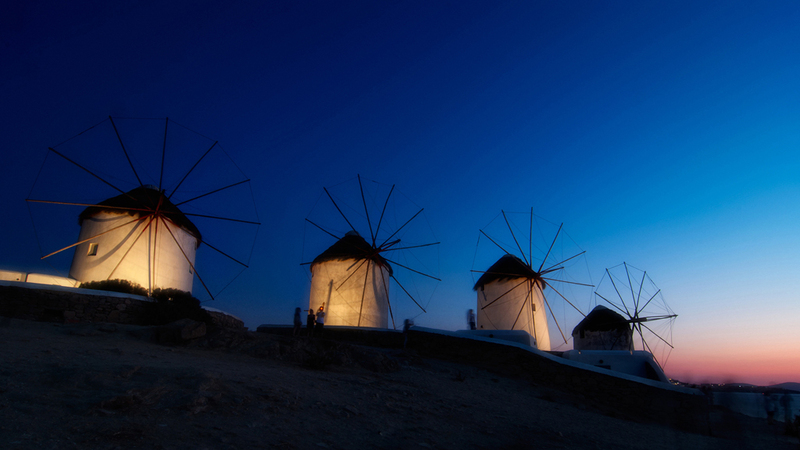 The wind windmills of Mykonos, in cooperation with its many bakeries, contributed to the economic travel of the island, as it became a necessary stop, from the provisioning of paximadi (ship’s biscuit), for ships playing the Aegean. 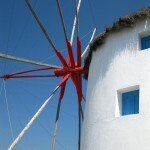 The “Bakery of Yiora”, in Neochori, with its wood-burning over, is a working example of the bakeries of past time. Besides its’ approximately 10000 volumes (the majority of which belong to the historical library donated by Alex. Meletopoulos), the library houses a large collection of photographs various 18th and 19th cent. Documents, gravures, etc. 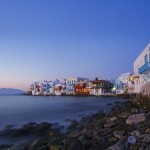 It is located in the square beside the church of Agia Kyriaki, on the ground floor of a marvelous 18th century mansion.